The Pure Spa Team listens to our customers. We always ask the front line crew (our customer service agents) what our clients are looking for that we do not offer... or could use a greater selection of. The latest revelation is many are looking for things to help with their retail merchandising. Pure Spa Buyers to the Rescue! We are currently building out our offerings in this category. Earlier this week we added a cool selection of "Tins ,Tubs & Pails". 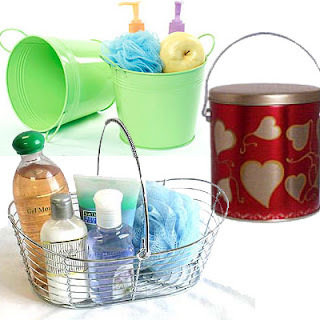 It includes painted buckets, galvanized pails and more that are ideal for displays, decorations, gift baskets, floral arrangements, planters, loose item storage and more!